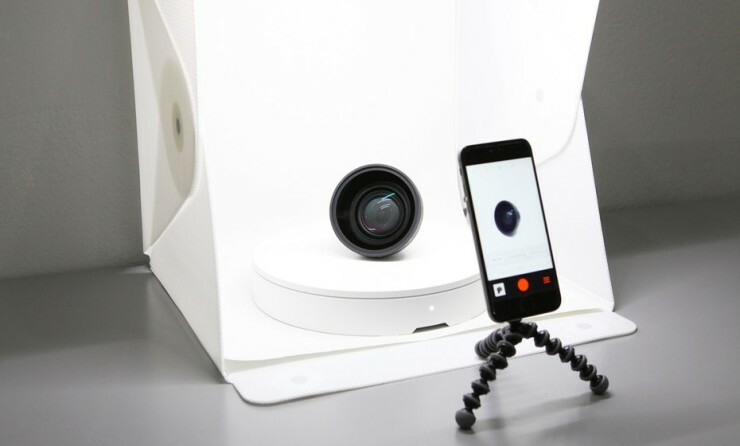 Foldio360 Turntable Makes It Easy to Take 360 Degree Product Shots | OhGizmo! By David Ponce on 02/09/16 • Leave a comment! If you’re running a little online shop, getting good images of the products you sell is pretty important. 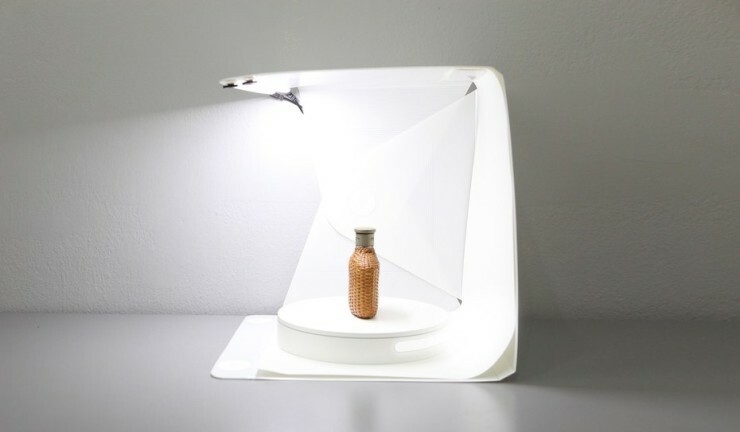 To make the task easier, Foldio already sells a lightbox called Foldio Studio and now they’re adding another item to their lineup: the Foldio360. 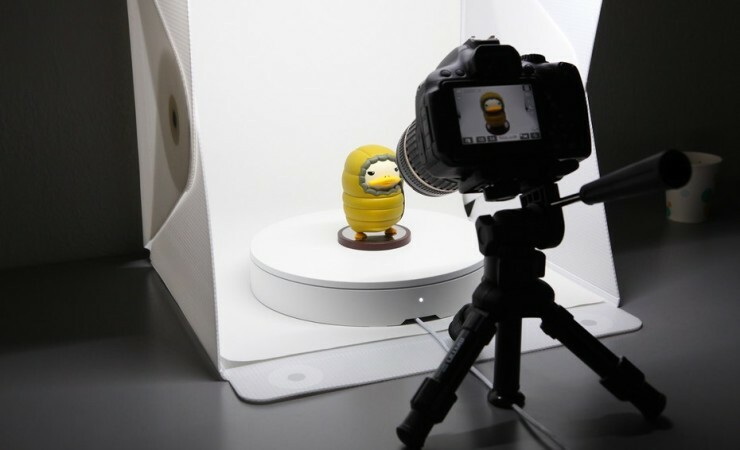 It’s a turntable that accepts objects up to 5 kg (11 lb) in weight, and rotates them slowly so you can photograph them from every side. 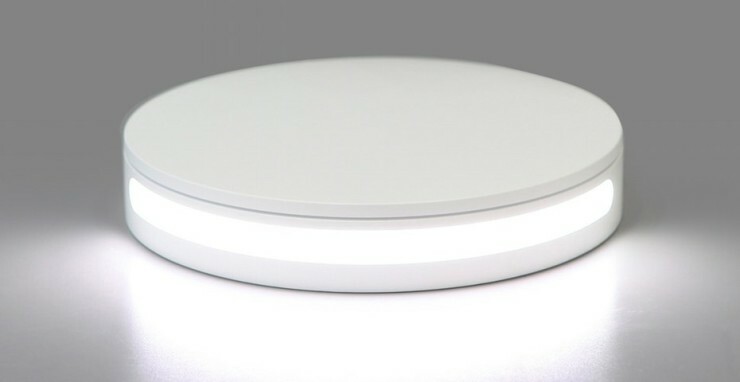 To blur the line between the bottom of the table and the lightbox, it features a light at the back. It can trigger your iPhone camera through Bluetooth, and nicer dSLRs through IR. “Photographs can then be compiled into interactive 360 degree images using the app and the Foldio360 Online service. From there they can be embedded into websites and exported as GIFs or MP4s.” It’s doing the Kickstarter dance at the moment, with an $89 pledge ($139 with the lightbox) to secure yours with a July shipping date.